The Southern New England Design2Part show at the Mohegan Sun Exposition Center in Uncasvillë, CT. The show runs from April 24th to the 25th Click here for free registration! The Medical Design & Manufacturing (MD&M) East show at the Jacob K. Jarvits Convention Center in New York. 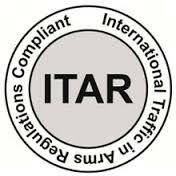 The show runs from June 11th to the 13th and we will be at booth number 249. Click here for free registration! Mike Chenevert and Paul Mellin greeting prospective customers at the ADM show in Cleveland, Ohio this past winter. Swissline Precision’s plans for the future were recently discussed in Production Machining magazine. Click here to read the article: Swissline Precision Finds Success in Equipment Investment and Employee Training or here for PDF. 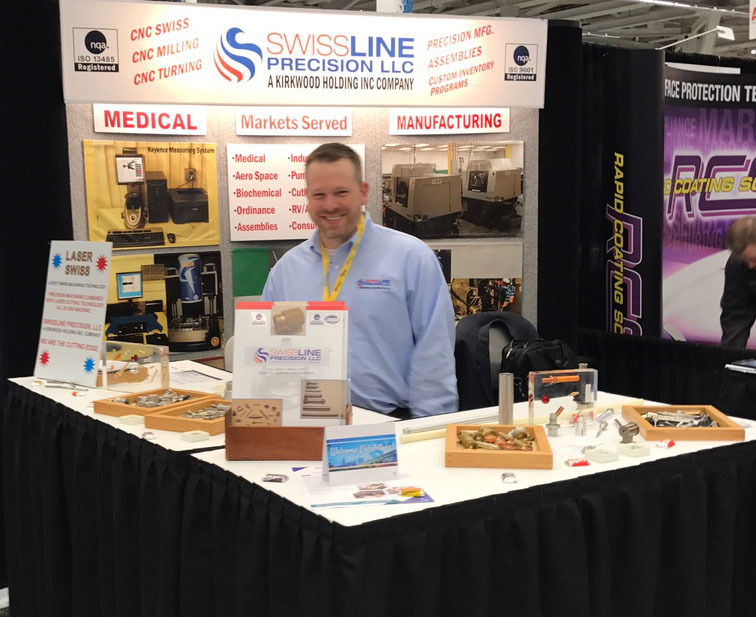 Mike Chenevert, President of Swissline Precision LLC, at the Advanced Design and Manufacturing show in Cleveland.